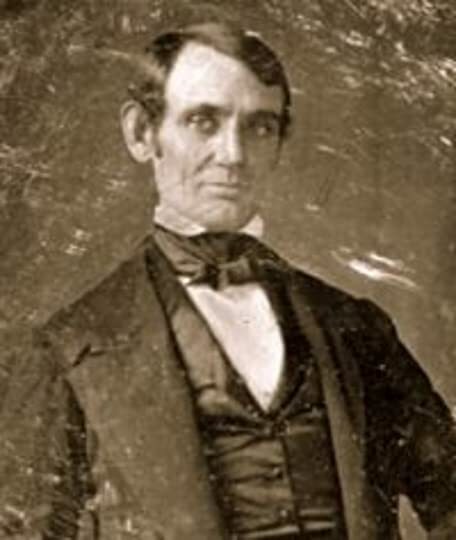 A young Abraham Lincoln from about 1847. The melancholy that afflicted Abraham Lincoln his whole life is well documented. There were times in his life when dark depressions were so debilitating that he even considered taking his own life to end his torment. He suffered from hopelessness and soul crushing guilt. He thrusted a salt crusted thumb into the raw wounds of every failure he’d ever experienced. The rest of the time he was a studious, but fun loving, lecherous storytelling, and ambitious young man. People may have felt they knew Lincoln, but I think, the more I read about him the more the real Lincoln, the man locked up in that large, melon head was someone he never felt comfortable revealing. I think he was exceptionally bright and ruled by dark passions. He was afraid of himself, afraid of what he might do if he ever let loose the shackles around his true self (axe-wielding vampire hunter, maybe?). The world wasn’t ready for his true self. They were barely ready for the persona he chose to show the world. All these financial worries were also a constant distraction from his true calling... to write poetry. He wanted more than just a roof over his head. He wanted stability, a security that would keep the fear of penury away from his golden years. He was also in love with a woman who refused to be trapped in a relationship. Her husband absconded to parts unknown with her fervent hopes of his untimely demise chasing closely behind him. She decided, with her husband’s departure, that she would never let a man make decisions for her again. Cage loved her progressiveness, but still couldn’t help feeling those very natural feelings of wanting to possess her. He wanted to help her open a dress shop, but desired to take something from her that she was determined to hang onto. Her freedom. I don’t know what percentage of people on GR have their account under a pseudonym, but I do know that most of the time when someone parachutes in on a review thread and leaves a nasty, abusive, or rude comment, they are not using their real name. Would they have made those same comments if their name was attached to the words? Maybe, but probably not. I know that most people do not abuse the use of anonymity in social media, but I for one have never posted a single thing online that did not have my real name attached to it. In that regard, Weatherby and I are in perfect agreement. Another major issue he has with Lincoln is in regard to a social butterfly from Kentucky named Mary Todd. Mary Todd with Lincoln just added to her name. Her naked ambition. Her feral intelligence. Her own battles with depression. All these traits had most men, despite her family money, looking for a wife who would be more compliant, happier, and more easily contented. She sifted all these men through her tiny fingers and decided that there was only one man who could hold up under the strain of her own expectations for him. His willowy frame would bend, but not break. She could make this man president. I’ve never warmed to Mary Todd. I understand the demons that beset her. 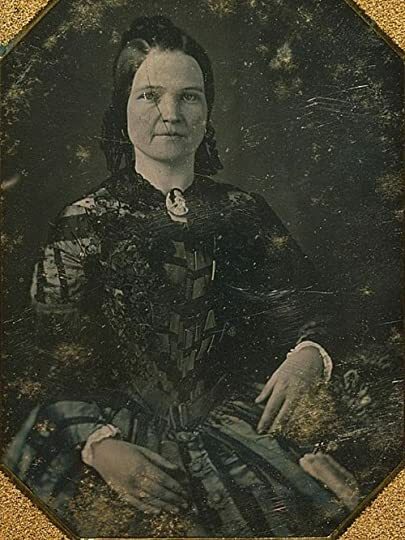 She paid a heavy price for her relationship with Lincoln, not only in the daily stresses and strains, but also in the losses they both suffered with the deaths of their sons. I often think that Lincoln needed a woman with smaller expectations for him, but then he would have probably never been president. Like many things, when I start thinking about changing the course of history, rarely does it work the way I want it to. In an odd way, the people unshackled from slavery should probably thank Mary Todd Lincoln for their freedom. Not because she wanted them free, but because she put the steel in the spine of the right man, at the right time, who was willing to do whatever it took to end the scourge of slavery in the United States. Interestingly enough, when Lincoln was younger, he did not feel this way. Not that he was for slavery, but he was not an abolitionist. Weatherby several times purchased the freedoms of escaped slaves and found work for them. He was often befuddled by the noncommittal attitude of Lincoln towards what he felt was the largest issue of the time. But then Lincoln was a political animal, and one thing he knew was having a strong stance one way or the other on the issue of slavery would only cost him votes. It was a hot potato, and though his hands were calloused from rail splitting in his youth, he was not willing to hold onto that potato. That said, when it counted most, he not only held the potato, but ate it. Stephen Harrigan presents a very real portrait of a young Lincoln. A man not yet formed into the man who would eventually be the driving force behind, without a doubt, the largest shift in American policy in the history of the nation. We see him at his best. We see him at his most vulnerable. We wince when he isn’t the progressive we so expect him to be. We feel uncomfortable with his greedy ambition for power. He was so afraid of being nobody that he was determined to bend the will of the universe to escape that fate. Like most people who leave their mark on history, Lincoln was a complicated man, but a man that, when push came to shove, was able to take the arc of history on his shoulders and move it in the right direction.